With the insurance industry currently going through one of the most sweeping periods of upheaval it’s ever seen, many insurers are evaluating their strategies and relationships to see which aspects remain useful and which ones need retooling. 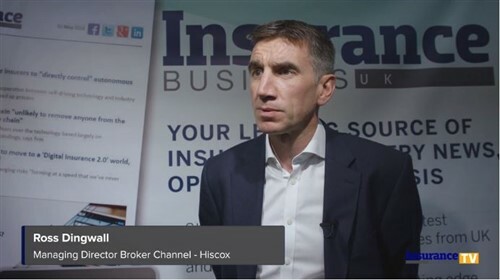 With that in mind, Insurance Business caught up with two executives from RSA to discuss how the British insurer is developing its regional trading and e-trading propositions, and how these influence its relationships with brokers. 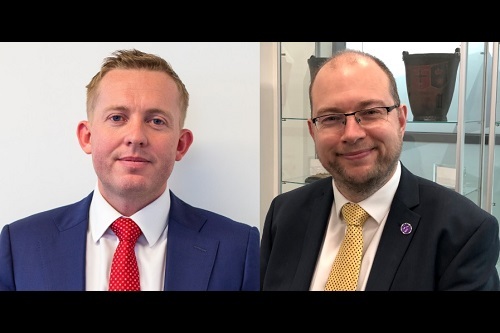 Lee Mooney (pictured left) is RSA’s UK regions director for its commercial risk solutions business, while Paul Trivett (pictured right) is the firm’s e-trading director. According to Mooney, RSA’s UK-wide network allows it to have experts embedded in local markets and harness their expertise to serve brokers and clients best. With regard to areas of improvement, Mooney says that RSA is targeting growth, but it wants to make sure that it is underpinned by profitability and longevity. Meanwhile, Trivett shared developments regarding RSA’s e-trading strategy, which aims to make things more convenient for all parties – insurer, broker, and customer. However, insurers placing increased focus on their online offerings has naturally led to fears that brokers might be going the way of the dinosaurs. Trivett, however, argued that technology should not be viewed as a threat, but rather as an opportunity. “By embracing digital, brokers will have the freedom to focus on the advisory space and to truly differentiate their proposition through their people and capabilities,” Mooney added. According to Mooney, RSA’s broker partners are facing several challenges, such as increasingly complex regulation; fast-paced technological development; a need to diversify capabilities; and economic uncertainty. Trivett emphasised the importance of service for brokers and businesses in general. Furthermore, Mooney reiterated the company’s focus on developing its partnerships and people. Mooney cited RSA’s Broker Leader Programme, which selects 10 future leaders from some of RSA’s key broking partners and provides management and leadership training tailored specifically for the general insurance market. “The course is designed to support individuals in their careers, helping to equip them with strong skills in areas such as strategy, business planning, HR, talent management, and financial management,” he explained.